Nine Vanderbilt University faculty members have been elected fellows of the American Association for the Advancement of Science this year. The new fellows will be recognized Feb. 18, 2017, at the AAAS annual meeting in Boston. Vanderbilt now has 119 AAAS fellows among its current and emeritus faculty and staff. More than half of them — 64 — were elected during the past five years, reflecting remarkable momentum and growth of the institution’s academic standing. “I want to congratulate our faculty on this career distinction. 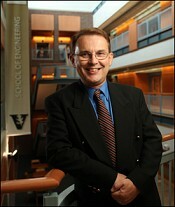 Each has contributed significantly to Vanderbilt’s reputation on the world stage while advancing scientific knowledge within their field. 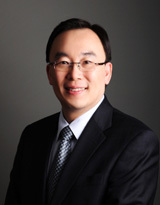 Beyond this acknowledgement are the lives positively impacted through their work, through important new discoveries in science, medicine and engineering,” said Jeff Balser, M.D., Ph.D., president and CEO of Vanderbilt University Medical Center and dean of the Vanderbilt University School of Medicine. Alissa Weaver, M.D., Ph.D., professor of cancer biology, cell and developmental biology, and pathology, microbiology and immunology, for distinguished contributions to the field of cancer cell biology, particularly the role of the actin cytoskeleton and membrane trafficking machineries in promoting cancer invasion.